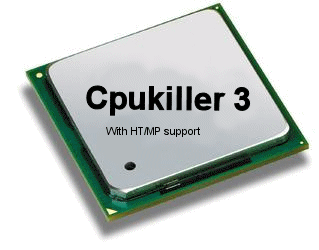 CPUKILLER is a software capable of slowing down your computer up to 99% permitting you to run old software. Is your new computer too fast for old software? Do you experience errors like "runtime error" or "overflow error" ? Have many of your favourite games become too fast to be played or don't run at all? Cpukiller can be the solution! It is very simple : CPUKILLER use your processor and make the resource occupancy grow enough to slow down the execution of other applications . If you don't want your computer to be slowed down anymore you simply have to click on the stop button. With CPUKILLER you can run your old programs or games without problems!